The city that was once the capital of World War II has a lot of stories to share. 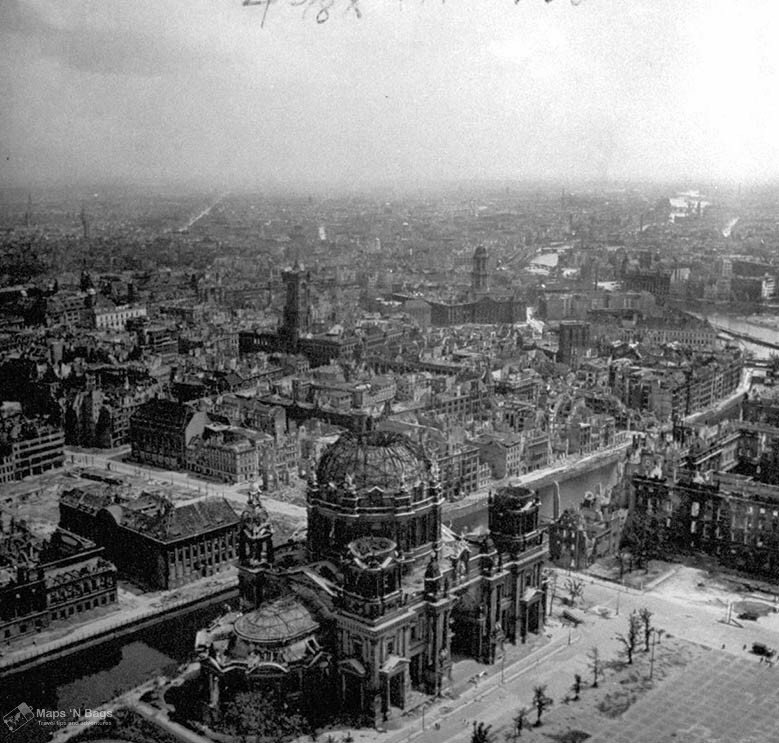 Berlin has a dramatic past, it got destroyed after the war, but it wasn’t free after losing it. 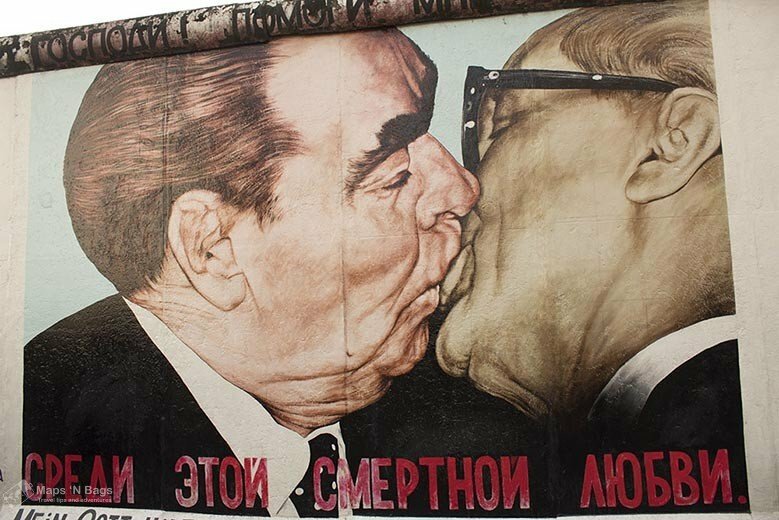 The German capital was then controlled by the communist regime and had a wall dividing it into two, a big symbol of the Cold War. Today, Berlin is one of the most hipster, alternative and underground cities in the world! I’m sure you’ll fall in love with this city as I did! I spent a weekend in Berlin, but I could easily spend way more time there, especially because of their striking street art. 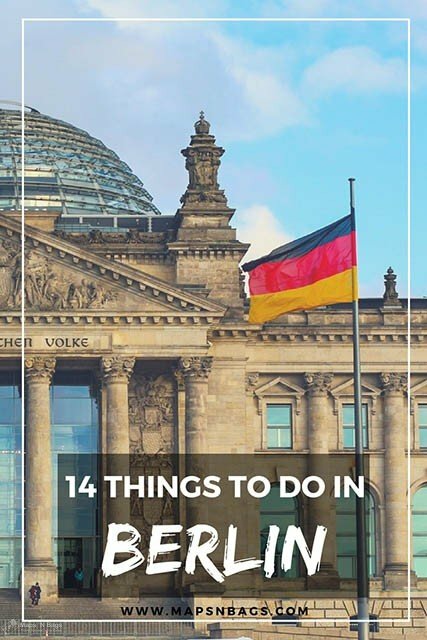 Check out the best things to do in Berlin! 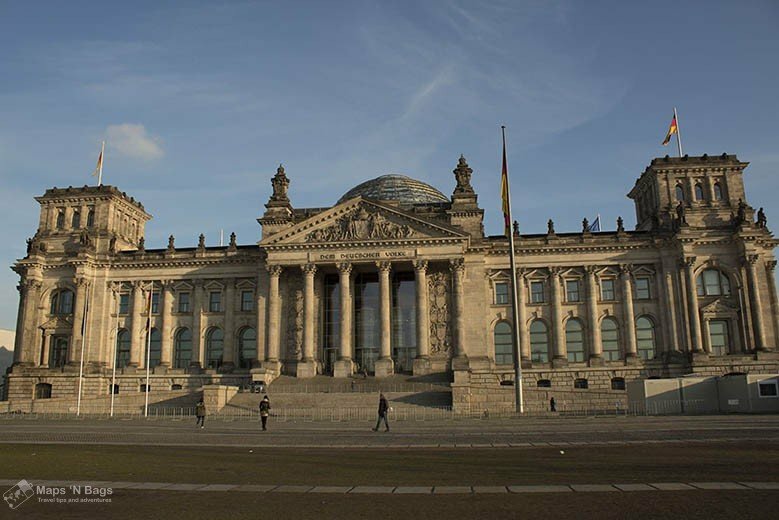 Kick off your day at the Parliament building of Berlin. The architecture of this place is picturesque: it has a mixture of Renaissance, Baroque Revival, and Postmodern style. 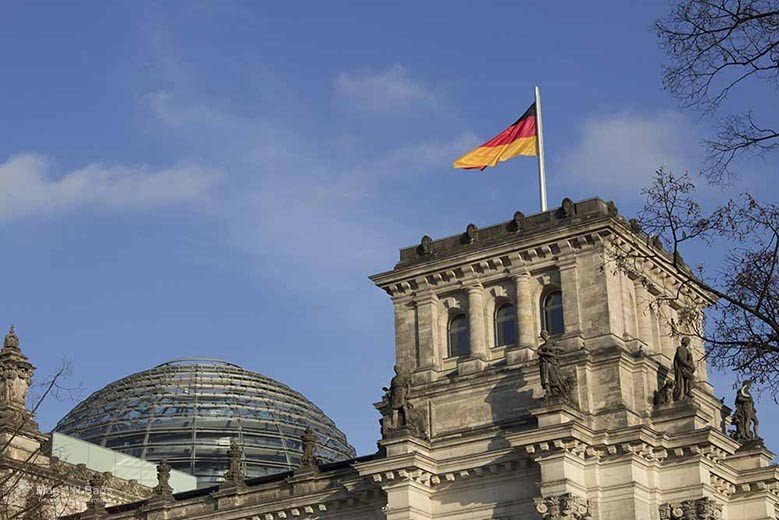 It received a lot of criticism when the glass dome was built, but today this is the reason why so many people visit the Reichstag (this is the 2nd most visited place in Germany). 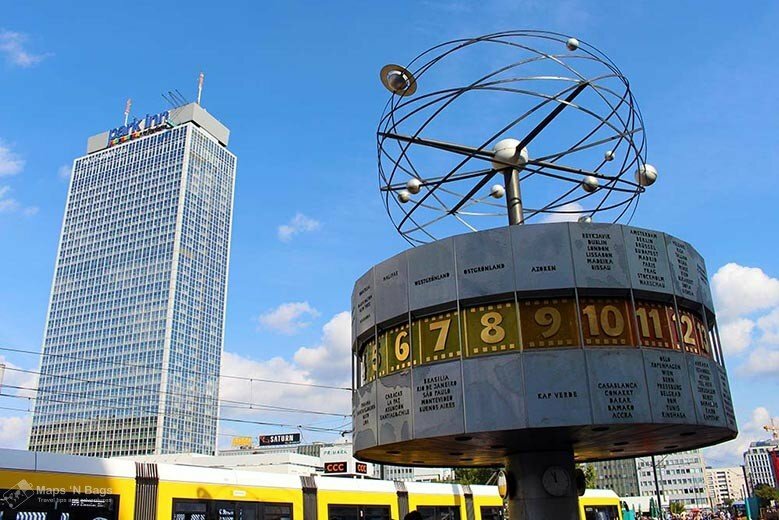 This place is in the first place of things to do in Berlin because it not only has a stunning 360 degrees view, but it also has an audio guide that explains a lot about the city. A good way to learn more about Berlin! And do you want to know the best part? Admission and audio guide are free! Yaaay! You just need to register in advance either on the Reichstag website or across the street. The more than 200 years old gate was heavily damaged during the World War II, but it was later renovated. In 1961 the access to the gate was shut out for both East and West Germans, it symbolized a divided Germany. That’s also where President Reagan gave his vigorous speech in 1987: “General Secretary Gorbachev, if you seek peace,  if you seek liberalization, come here to this gate. Mr. Gorbachev, open this gate. Mr. Gorbachev, tear down this wall!”. The gate was reopened in late 1989 when the wall fell. 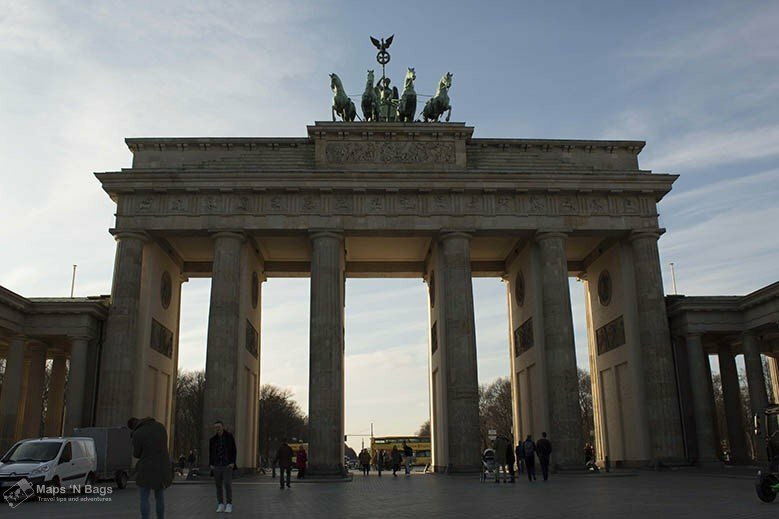 The Brandenburg Gate is probably the most famous monument in the city, so head there to take some good shots. Also, if you’re into photography there are other great photo spots in Berlin that you shouldn’t miss! 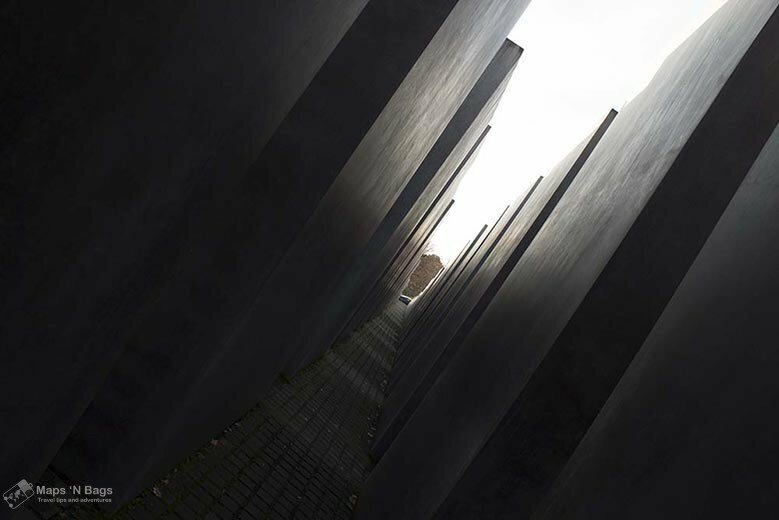 This memorial is better known as the Holocaust Memorial. 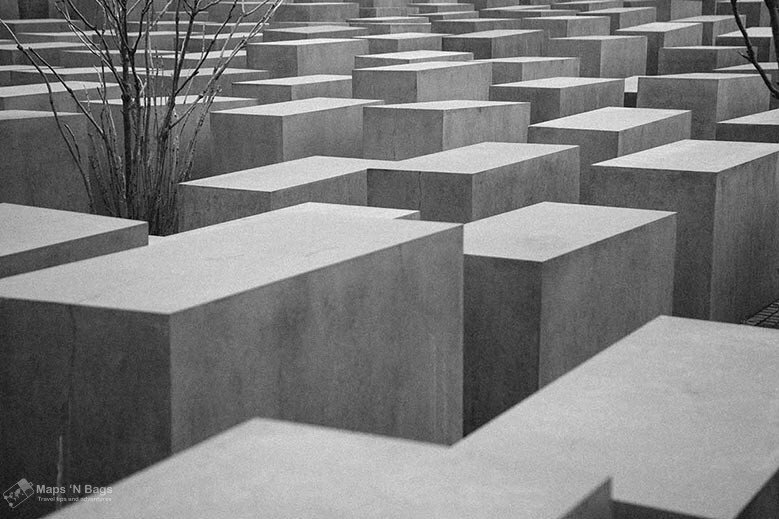 It has 2711 concrete slabs (stelae) from different heights. As you walk through the maze, the columns become higher and your path becomes darker. It gives an impression that you are lost in the middle of those coffins. I’ve written a complete post about this exciting place and the main war memorials/ museums in Berlin. Ps. : Please, don’t take crazy selfies or funny pictures like if you were next to the Eiffel Tower. This is really a thing you should not do. Respect the memory of the millions of Jews who lost their lives in the ww2. This square had to be completely renovated as it was destroyed during the war. Here is where the American, British and Soviet sectors met. The only building from that time that still stands is the Weinhaus Huth. Potsdamer square was then divided in two as the wall was also built here. 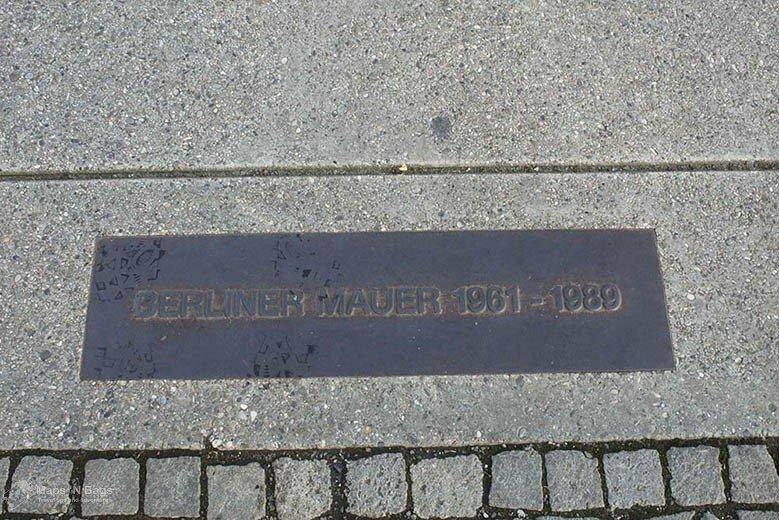 The metal strip marks on the ground are the route of the Berlin Wall. That’s where I had my first glühwein (mulled wine) in a Christmas market. Psssst: Not sure where to stay in Berlin? 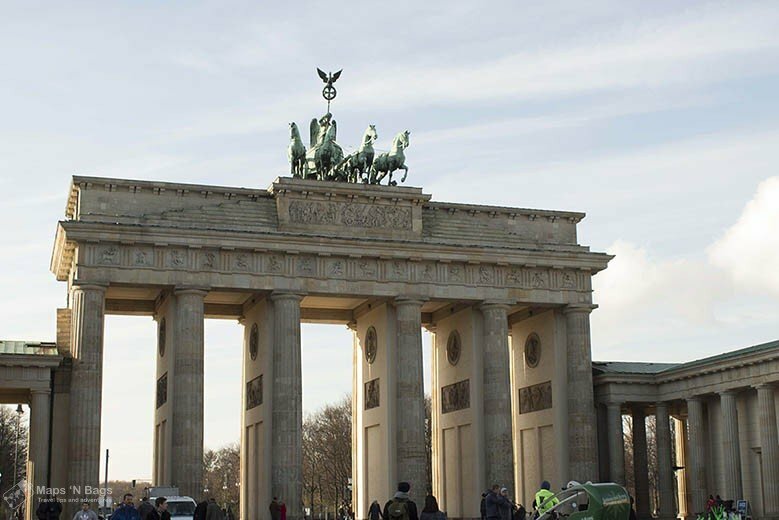 Click here to read a comprehensive guide of accommodations in Berlin. 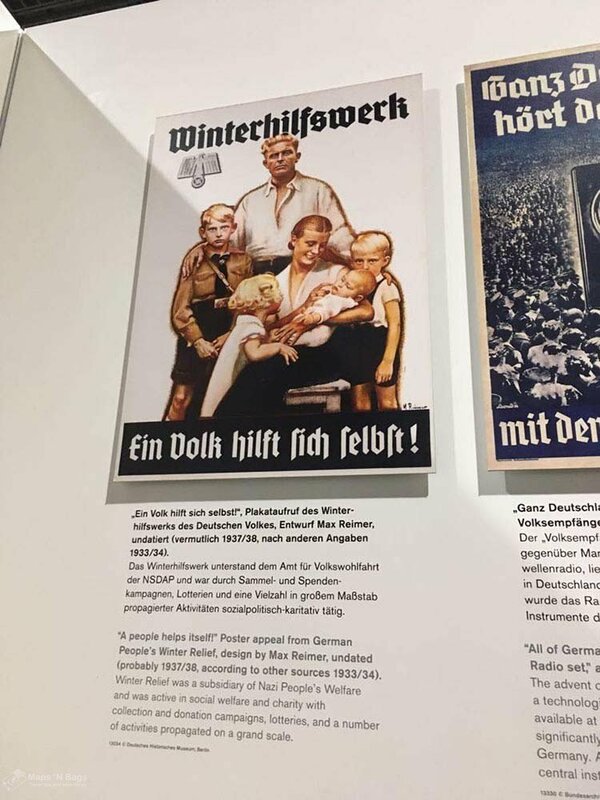 This museum is focused on all awful things the Gestapo, SS and the Reich Security have done, as their headquarters was once located at this site. This is a very difficult place to visit as you get to read all atrocities they committed against innocent people and how they brainwashed millions of German soldiers. Don’t expect an interactive museum, though. There is a lot to read on the walls, a few audios, videos and even guided tours on Sundays at 2 pm in German and at 3:30 pm in English. If you’re interested in the tour, sign up at the reception 30 minutes before the start. Opens daily: 10 am to 8 pm. Admission is free. Checkpoint Charlie was the crossing point between East and West Berlin during the Cold War. This place was not only a symbol of the Cold War, but it also witnessed a lot of escape attempts. The place itself isn’t that interesting, but it’s very symbolic, so it’s worth a visit. I bought my souvenir in a store nearby and they were also selling pieces of the Berlin Wall (around €4 for a small piece). If you want to buy one, I suggest you buy it somewhere in this area and not close to the East Side Gallery. Interesting fact: There were another two checkpoints, Alpha, and Bravo. This is a very interesting square and full of culture! 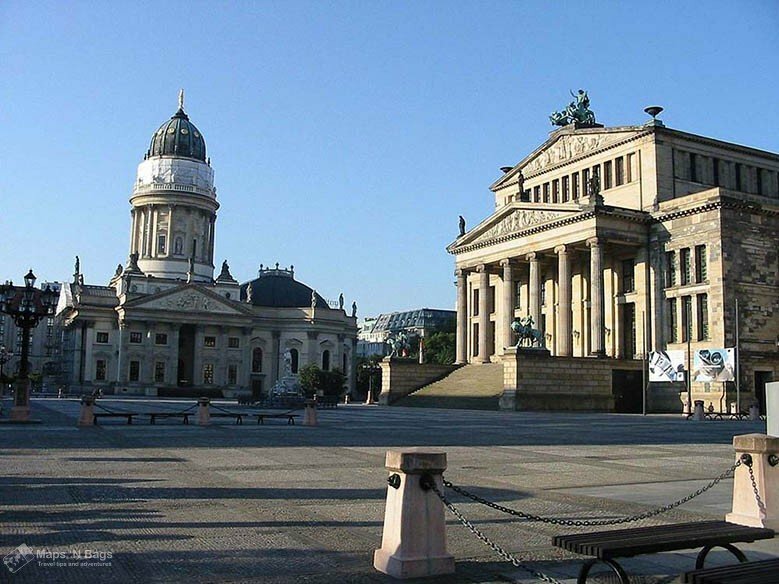 One of the most beautiful squares of Berlin houses the New Church, the French Cathedral, and the Concert Hall. These buildings are really impressive, you won’t want to miss them. This square was massively damaged during the war, but its reconstruction began in 1981 and it’s now so beautiful, it’s definitely worth a visit! The Concert Hall’s interior is really impressive, and you can make a “walk-through” free of charges, it lasts around 30 minutes. Or you can make an extended tour for €3, which lasts around 75 minutes (Saturdays at 1 pm). The French Cathedral and the New Church look very much alike, but they’ve both free admission, so why not? The New church opens from Tuesday to Sunday from 10 am to 6 pm (on Mondays only on public holidays). 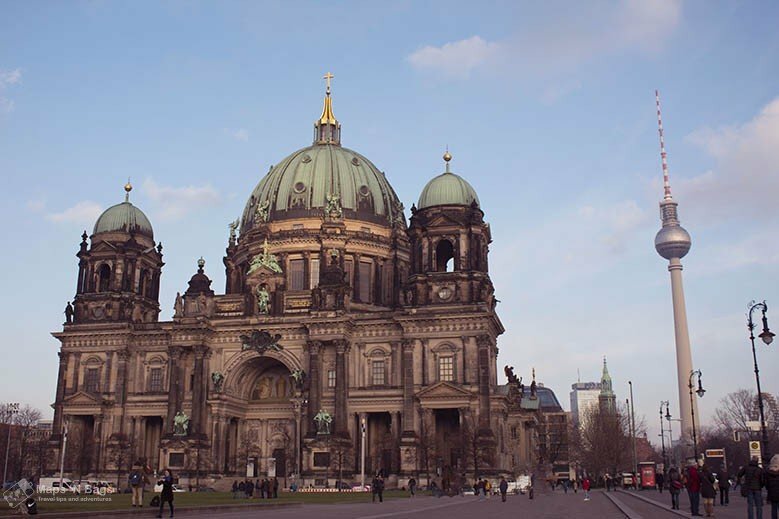 The largest church in the city and often the postcard of Berlin was completed in 1822. 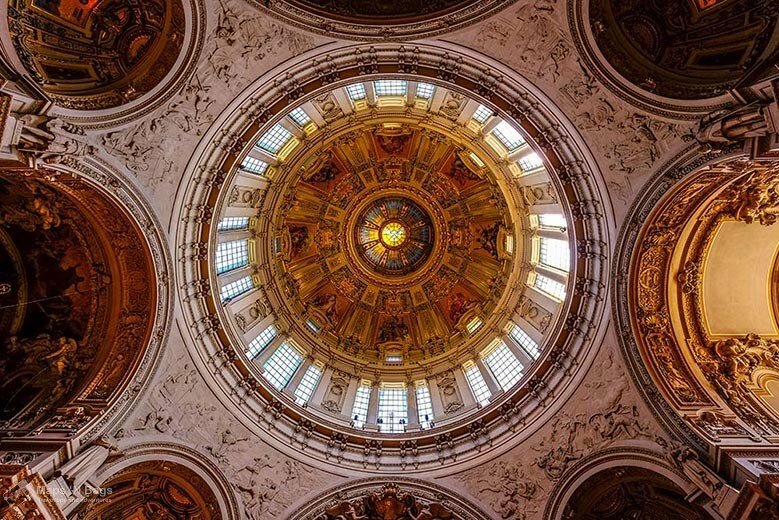 The Berliner Dom is a stunning construction which has a high-renaissance baroque architecture. You didn’t visit Berlin if you didn’t witness the beauty of this church! The entrance fee is €7, the cathedral’s museum, the crypt and the view from the dome (270 steps! Uhuu!) are included in this price. They also have audio guide tours available in English, German, Spanish, Italian, French and Russian for €4. From April to September: Monday to Saturday from 9 am to 8 pm (last admittance at 7 pm), Sundays and holidays from 12 pm to 8 pm (last admittance at 7 pm). From October to March: Monday to Saturday from 9 am to 7 pm (last admittance at 6 pm), Sundays and holidays from 12 pm to 7 pm (last admittance at 6 pm). You can’t visit the church during the services. Fun fact: This is actually not a cathedral since it has never been the seat of a bishop. Actually, not so funny, but definitely interesting, right? Ps: I found skip-the-line tickets for these 5 excellent museums. The link to it is in their names. You can just show it on your smartphone and skip the line to get into them! Trust me, this is the best way to save time because the queue in most of the museums can get to 2+ hours sometimes. And do you want to know the best part? You don’t pay more for it! All of these museums have a very good rating, so take your time to appreciate the one you choose. Pergamon Museum: Berlin’s most popular museum shows artifacts from the Ancient East, so Asia Minor, Egypt, Iran and the Caucasus. This museum is excellent and it’s totally worth the visit! Bode Museum shows a coin collection, a Sculpture Gallery and the Museum of Byzantine Art. Neues Museum showcases Egyptian and antique artifacts. This is a must if you like Egyptian art! Altes Museum (Old Museum) shows sculptures and art from ancient Greece and from the Roman Empire. It is right next to the Berliner Dom. Alte Nationalgalerie shows pieces of art in the Biedermeier, Classicist, Impressionist, Romantic and early modern art styles. Tue/Wed/Fri/Sat/Sun 10am – 6pm, Thursday 10am – 8pm; museums are closed on Mondays. I said above that you didn’t visit Berlin if you hadn’t seen the Berlin Cathedral, but I was actually wrong. 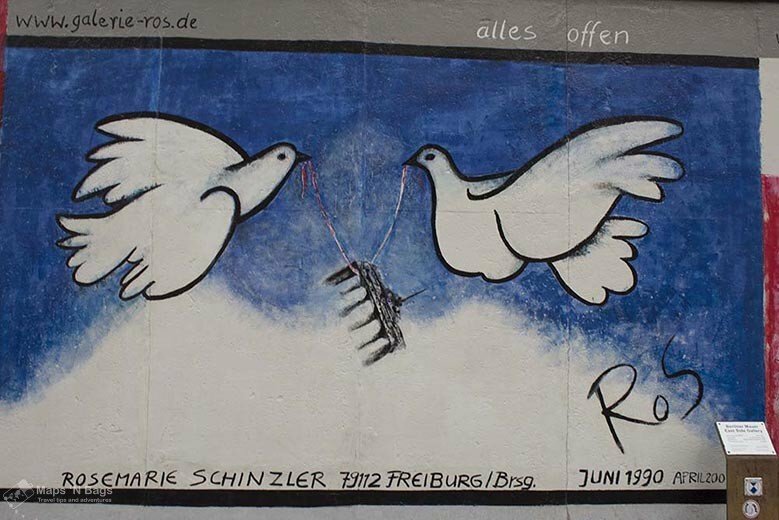 This piece of the wall is one of the main reasons why people visit Berlin and I can tell you this: you won’t be disappointed. It has 1.3km of a lot of history and striking street art. It’s a collection of murals which someday in the past divided the city, take your time to appreciate it and also to take nice photos of it. This area is among the best photo spots in Berlin. How to get there? Go to Warschauer Strasse station. From there, it is a five minutes walk. Also: check the Oberbaumbrucke, close to one end of the wall. This is a nice bridge with two “arms” that symbolize both sides of Berlin. 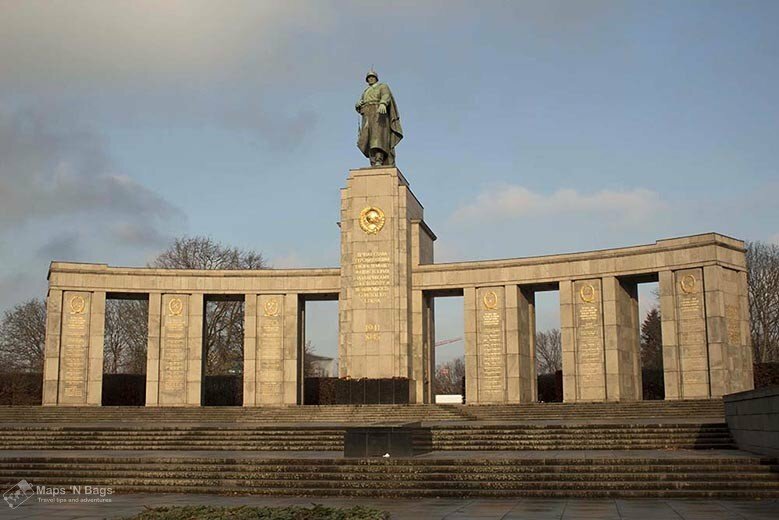 There are 3 Soviet memorials in Berlin, but the two closest to the main attractions (and most famous) are the Soviet War Memorial in Tiergarten and the one in Treptow Park, the latter is the biggest in Germany and it’s remarkable! We were really impressed when we saw this imposing and magnificent memorial. 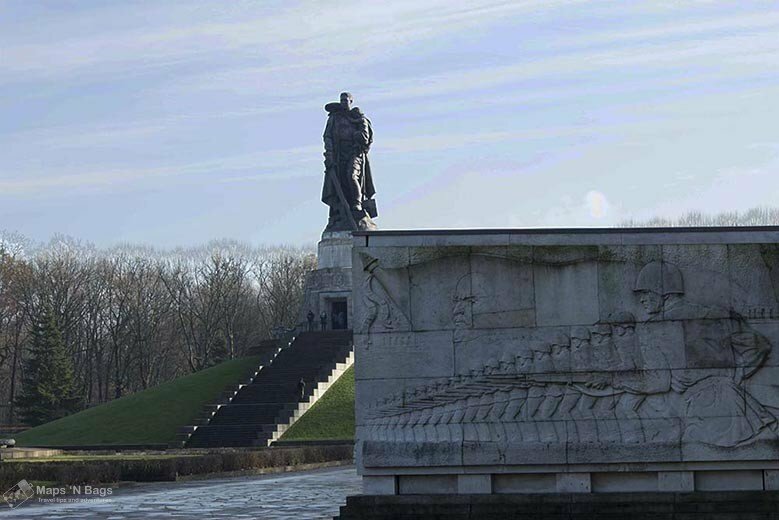 It was built to celebrate the Prussian Victory in the Danish-Prussian War in 1873. 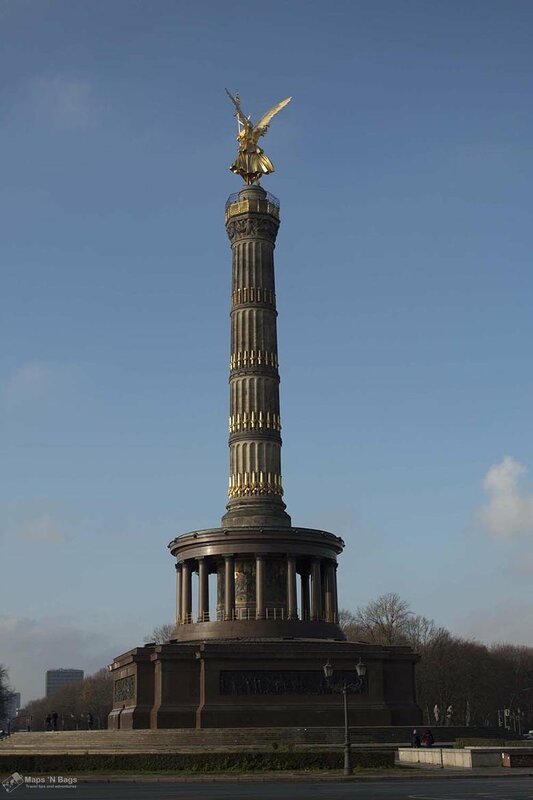 The column is very beautiful and it’s one of the symbols of Berlin. You can go up in the column if you’re willing to face the 287 steps (and pay €3). The view is worth it, and you look straight to the Brandenburg Gate! Ps. : There are bullet holes in the stones from the Second World War. The largest square in the city and a place where you can find many shops, restaurants, movie theater, etc. This is the only place in Berlin where I saw some weird people walking around. Nobody bothered us though. 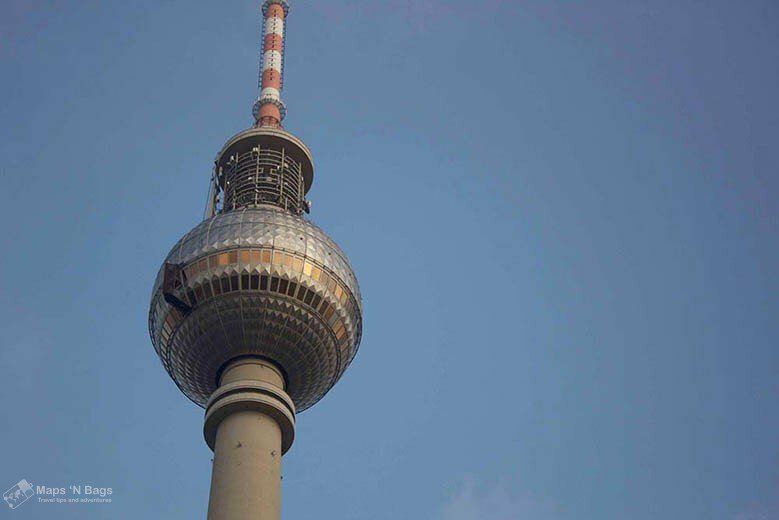 The tv tower is one of the tallest constructions in Germany, the observation deck is 203m high. So you have an amazing view from up there, but only on a clear day. The prices start at €13 and it’s daily open. These are the ruins of a heavily damaged protestant church during the war. The old church dates to 1891. There are free guided tours daily. 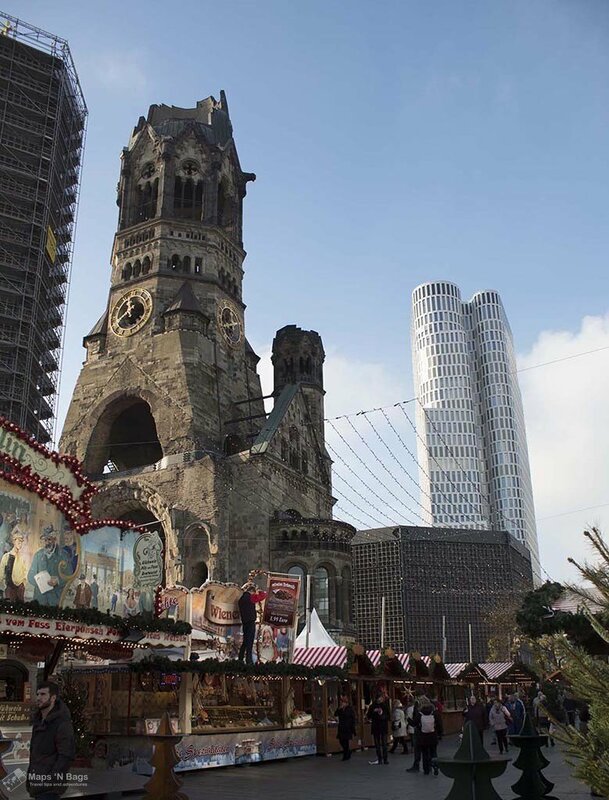 Check out the Kaiser Wilhelm Memorial church website for the timetables. One of Berlin’s biggest Christmas markets takes place on Breitscheidplatz, next to the church. That’s also where the terrorist attack of Dec 2016 took place. There was a memorial when we were there with candles and flowers for the victims of this horrible act of violence. After this attack they installed concrete barriers around the market, so don’t worry! This market is really cute and you can have some goods currywurst and glühwein. The weather is very pleasant, and locals go picnicking in the parks of the city between May and September. 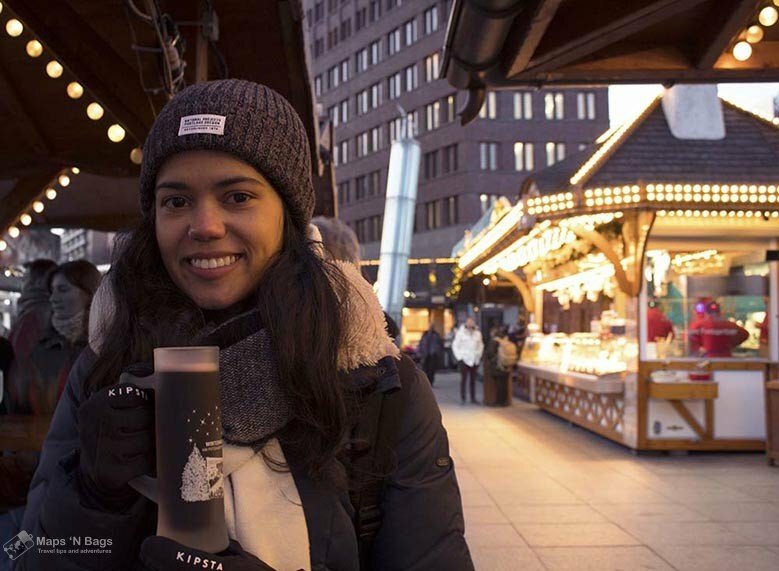 Unlike other cities in Europe, you can drink beer in the streets of Berlin, so yeah! It’s a really nice time to be around, but it’s also when the prices rise and the city gets full of tourists. You can save some money when booking your hotel/ hostel in the other months of the year, just don’t forget a really warm coat in the winter. Berlin gets VERY cold in the wintertime, so don’t let it ruin your vacation. Have you ever been to Berlin? Or you going to use this itinerary there? Either way, I would love to read about your experience in the city! Drop your tips or questions in the comments! Did you like this post? 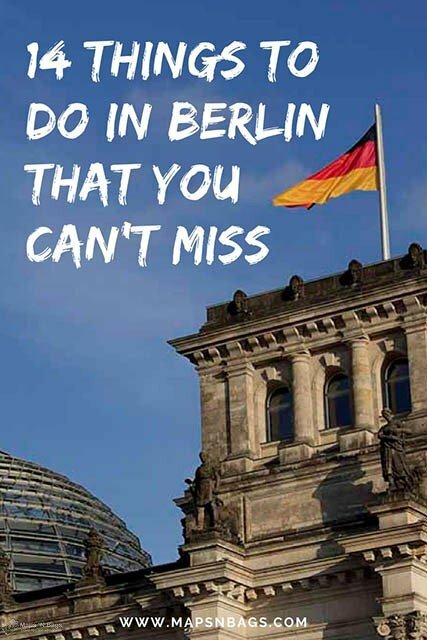 Do you want to visit Berlin, but you’re not going yet? Pin this post so you can find it easily later! This entry was posted in Germany and tagged Citytrip, Things to do. Awesome list! I’m now really regretting missing many of these while I was in Berlin a few years ago for a media art festival. But at least I did see the Brandenburg Gate and the remaining parts of the Berlin Wall. Next time I’m in Berlin, I’ll make sure to see more of these, especially the Museum Island! Really digging this post Bruna. Well done! Berlin feels like a powerful city with its intense history. Although the people have moved on I betcha you feel the energy of the nightmares in the past, much like I felt when traveling through Cambodia with its genocide. 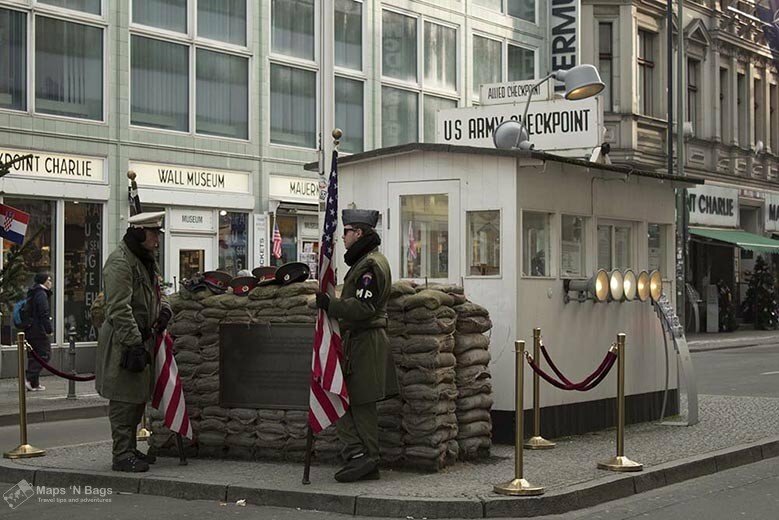 Checkpoint Charlie seems like a neat spot to visit too. Berlin is a wonderful city that has a lot to teach the world. It was completely destroyed, but they rebuild it and it is great. Like you said, they moved on, but you’ll always see the shadows of the past as you walk through Berlin. A haunting place for sure. Cambodia is one of my dream destinations! Also a country full of scars of the past. 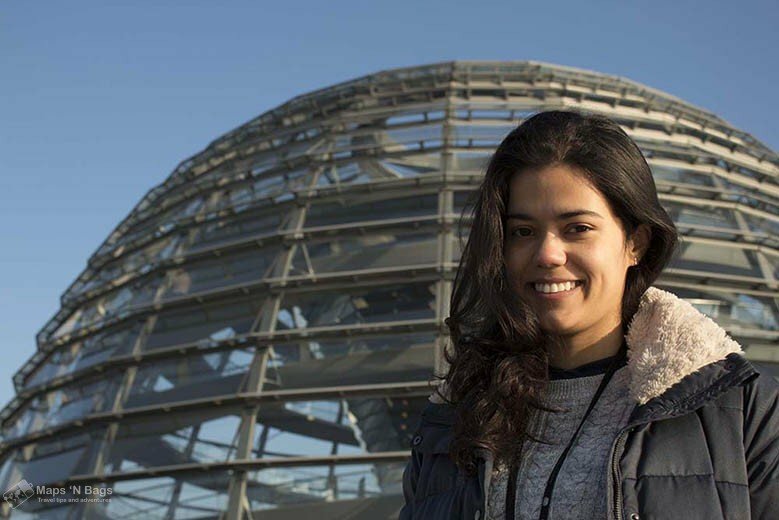 Very informative post, I have something similar but much shorter abt my visit of Berlin. I’ll take a look at it. I write a lot, because I talk a lot! Haha! 🙂 Glad you like it! Love this post! 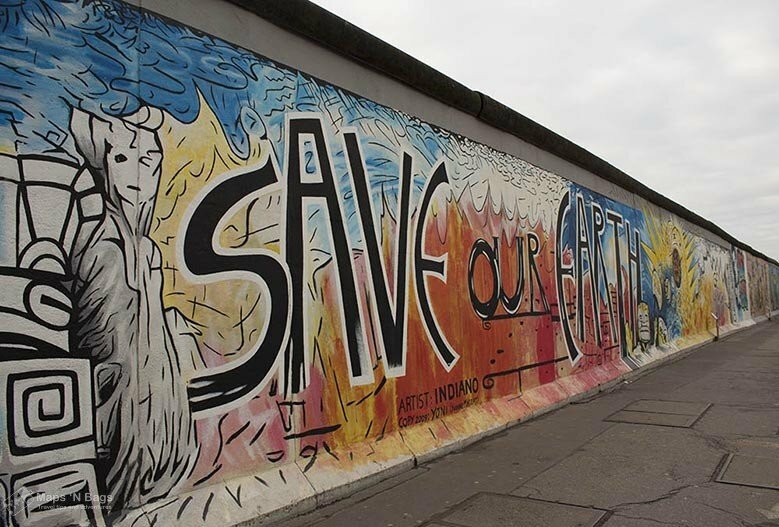 I visited Berlin last year and loved East Side Gallery and Brandenburg Gate too! Its just an interesting city with so much history!